In North America the black bear was seen by Hearne swimming for hours with widely open mouth, thus catching, like a whale, insects in the w ater. Even in so extreme a case as this, if the supply of insects were constant, and if better adapted competitors did not already exist in the country, I can see no difficulty in a race of bears being rendered, by natural selection, more and more aquatic in their structure and habits, with larger and larger mouths, till a creature was produced as monstrous as a whale. My first interest in this passage is the sheer silliness of the idea that whales evolved from land mammals. It is, I think, one of the most outlandish suggestions (I’m being kind here) made by scientists today, up there with the multiverse and Panspermia. Dr. Carl Werner lists no less than nine parts of the small land mammal (he uses the so-called Pachyaena a so-called hyena-like creature as his subject) that would have to change by chance mutations in order for the hyena to become a whale. I would like to tell you that scientists have seen the folly in imagining such a thing. Werner reports that, “Modern evolution scientists do not believe that whales evolved from a black bear by acquired characteristics and natural selection as Charles Darwin once speculated.” Whew! Thank goodness, right? No. Werner goes on to explain, “They now theorize that whales evolved from a land animal through a complicated series of chance mutations in the DNA of the reproductive cells.” Complicated indeed! Charles Darwin, On the Origin of Species: Classic Illustrated Edition (Kindle Locations 2375-2379). Heritage Illustrated Publishing. Kindle Edition. Carl Werner, Evolution: The Grand Experiment, Vol. 1, (Green Forest AR: New Leaf Press, 2014), 40-54. James T. Costa, The Annotated Origin: A Facsimile of the First Edition of On the Origin of Species, (London: Harvard University Press, 2011), 184. A whale is a mammal. It has vetigal structures, like hind leg bones. Why don`t you at least try to understand the subject you`re talking about? I did, you ignored it. 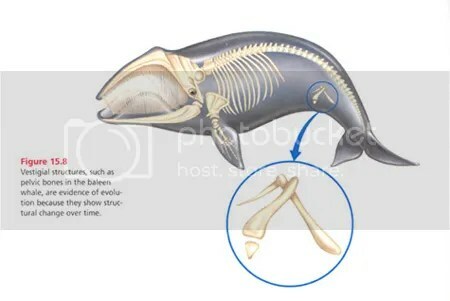 So, perhaps now you`d like to explain why a whale (a mammal) has hind leg bones and a pelvis? John, we are never going to agree but we could do a far sight better if you actually gave credit for response. Yes, I understand that whales have what you and others would interpret to be vestigial hind leg bones. My response was a question: “Are you suggesting that similarities in structure are solid proof for the theory that bears evolved into whales?” Your answer, aside from not actually giving one, was to try and force me to explain why whales are like they are. The same typical foolish stuff of atheism and evolution where you discount any idea or disagreement in an effort to create some aura of truth for yourselves, your ideas, and you imaginations. Just because I (nor you) can explain with any expertise why whales are made like they are does not then open the way for the foolishness of evolution and the idiocy of land mammals become ocean going mammals. Can’t wait for all of those intermediate bear-to-whale fossils that must surely be forthcoming. Especially the bear with a blowhole! That will be a real clincher. Or maybe it will be a hyena with a dorsal fin! I don`t believe the quote you posted said anything whatsoever about whales having evolved from bears. And by that statement alone it is patently clear you don`t understand the basic (fundamental) concept of what common ancestry even means. The quote absolutely suggests that Darwin was open to the possibility of bears evolving into monstrous sea going creatures through acquired traits. 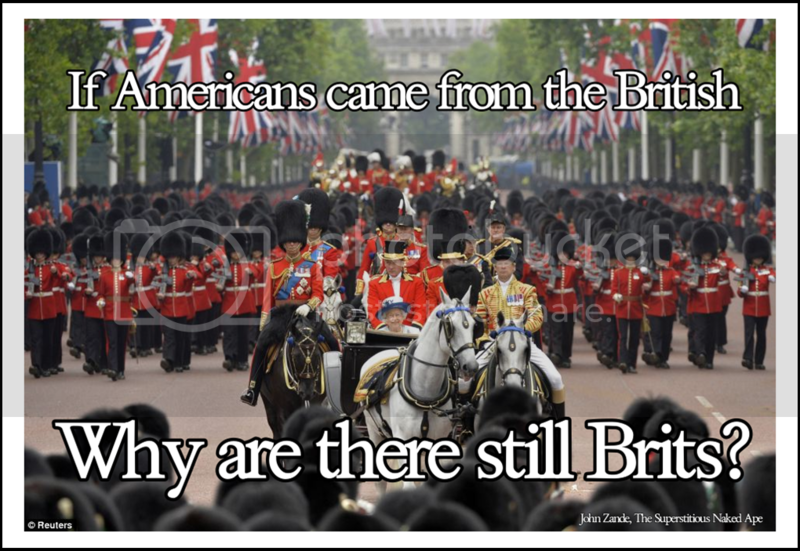 The quote was not to emphasize common ancestry nor did I make any claim to that. It was instead a reference to the idea of acquired characteristics. It’s embarrassing to imagine that some in the past actually believed that if a bear spent enough time in the water and trapped fish with his mouth long enough that somehow a new species would come forth. It is even sillier to imagine the number of chance mutations in the DNA that it would take for any of the proposed land animals to evolve into a whale. 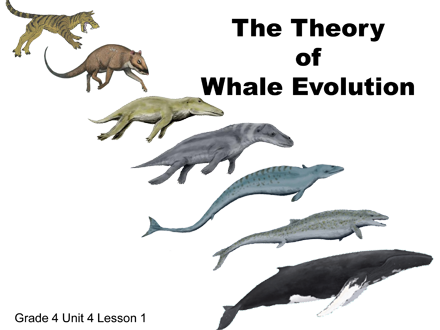 Don’t forget to send over the pictures of all those intermediate fossils of bear/whales, especially the hyena blowhole pics! This is why talking to a Cre ationist is such a waste of time. As we sometimes see individuals of a species following habits widely different from those of their own species and of the other species of the same genus, we might expect, on my theory, that such individuals would occasionally have given rise to new species, having anomalous habits, and with their structure either slightly or considerably modified from that of their proper type. Please try and get your quotes correct in the future. Now, follow these next words carefully, Darwin knew nothing, absolutely nothing, about gene theory. He didn`t understand genetic drift or the nature of mutation. He didn`t know about DNA. In 1859 Darwin believed natural selection was the single mechanism by which Evolution proceeded. This is why in the actual quote he`s talking about altered behaviours. Think about that, and perhaps you`ll start to see how utterly foolish (and ignorant) you are coming across as. My quote is word for word from the first edition. The word almost did not come in until later. I know what I am talking about. John you have not even bothered to follow the gist of what I wrote in the article. The quotes speak for themselves. They are correct. You are not as informed as you think you are. All you have are the words and vocabularly that you have learned by rote. You are standing on the backs of others who, like Darwin, have made stupid guesses, false assumptions, and have passed it off as science. you are grouped in with atheists and dreamers who have staked their entire claims on pseudo science that even children can discount with simple logic. Scott, the quote is not “word for word”. It is two sections pasted together without ellipses. Follow the link and you will see. And no, Scott, you do not know what you`re talking about, as evidenced by your ridiculous allusion to hyena`s with blowholes. This demonstrates that you have absolutely no idea whatsoever as to what a common decedent is. Darwin did not “guess,” he made observations and drew a hypothesis on those observations. That is to say, he used the scientific method to explain the natural world. He did so, successfully, without even the first idea of genetics, which is quite astonishing. Without knowledge of gene theory his hypothesis was incomplete, but it has only been confirmed since as knew science has come to the fore. You also seem to like to equate atheism with Evolution. You`re being an utter idiot here. The Catholic Church accepts Evolution as fact. I`m afraid, it`s just (some) of you American evangelicals who refuse to accept reality. Even in so extreme a case as this, if the supply of insects were constant, and if better adapted competitors did not already exist in the country, I can see no difficulty in a race of bears being rendered, by natural selection, more and more aquatic in their structure and habits, with larger and larger mouths, till a creature was produced as monstrous as a whale. The link you shared only confirms this. I made no other point about it except to share two versions of the interaction over these words that were included in the original between Owen and Darwin. My quote is word for word from the first edition. No I did not go on to quote the next paragraph. You really have to move beyond using as your number one tactic your claim that know one knows anything. This is what you do repeatedly. You stop every conversation by claiming that everyone else is ignorant. And by the way there is of course a huge connection between atheism and evolution. That you don’t know that shows your ignorance. As for hyena’s with blow wholes, even if I believed balderdash about commen descendents, etc., you still have to explain the various stages of change that would have to take place. With all of their smoke, mirrors, double-talk, and misdirection even evolutionists like yourself are not saying that one day you see a bear (or some other medium sized land animal)and the next you see a whale. So there should be fossils showing those various stages of development. Are really trying to say that that is not the case? One of the problems with your thinking concerning Christianity is that you have based it all on your exposure to Catholicism. If you are assessing faith and belief in the Christian God based only on what you see and hear from Catholics, you have missed the boat anyway. Darwin, Charles (2014-11-09). On the Origin of Species – Classic Illustrated Edition (Kindle Locations 2376-2379). Heritage Illustrated Publishing. Kindle Edition. Errrum, don`t try and run from the fact that you tried to equate atheism with Evolution. That`s just so insane it`s hilarious. Your ignorance of basic facts is shown and on full display. Catholics accept Evolution as fact. Now, Scott, you can believe the earth is 5,000 years old. I don`t care. I just hope you have absolutely no contact with children, because you are not functioning in evidence-based reality. By the way, still waiting for links to all tthose websites documenting the multiple intermediate black bear/ blow hole fossils! Ah, and there it is… You`ve just proven my point. Please, Scott, I`m sure you`re a nice person, but you truly come across as an ignorant fool trying to address this subject. Read the Catholic Church`s statement on Evolution. As you`ll see, you can retain your beliefs in your particular Middle Eastern god, Yhwh, while interacting with evidence-based reality. No, you can’t retain your beliefs in God and accept evolution, certainly not as it is described by people like yourself. 2 billion Catholics say you`re wrong. What do you care about Catholics? They believe in God. Doesn’t that make them anti-intellectctual idiots? Catholicism is not the standard anyone should be going by. Just because you can rustle up people on one who don’t believe in God, and on the other people who believe in evolution, and on the other people who exemplify some other aspect of thought that bolsters your position: so what? And by the way, since you don’t believe in God you are not qualified to speak on behalf of Catholics. Bolstering my position? What on earth are you talking about? Evolution is fact. It`s not my position. It just is, like gravity just is. I am absolutley qualified to speak for those who actually believe the Bible and the fundamental tenets fo Christianity. My final word: still waiting on the proof of all those intermediate fossils! Evidently, you are not… as I have demonstrated. You are contradicting the beliefs of 2 billion believers, including the Pope, and you, Scott, don`t get to decide that they`re wrong. You`re arrogance, though, is astonishing. Now, what is an “intermediate” fossil? There is no such term in Evolution. 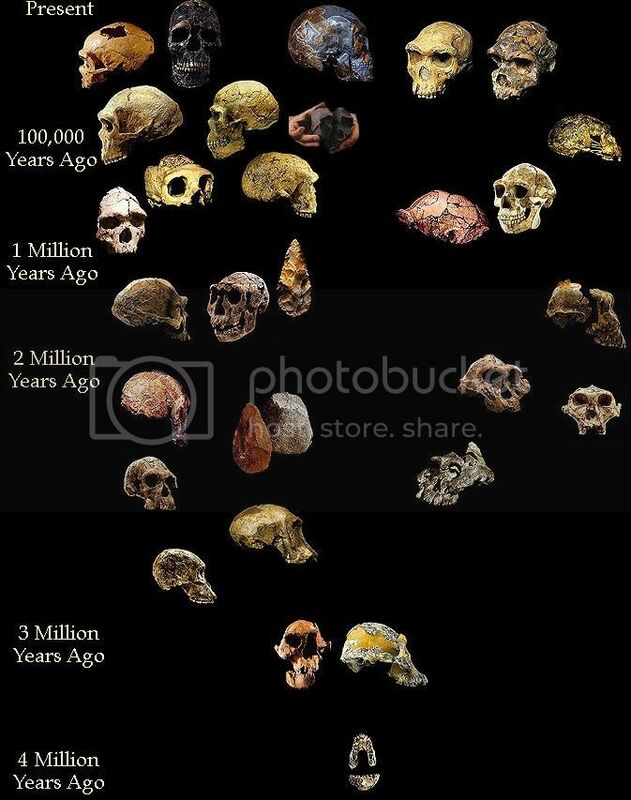 It`s as meaningless as the Creationist terms “Micro”and “Macro” evolution. There is no such thing. There is only “Evolution.” Or what, you want a Croco-dillo, do you? A Heyena with a blow-hole? And again, you display your utter ignorance to what common descendency means. Incidentally, the word intermediate is used by Stephen C. Myer in Darwins Doubt (page 12), whom you will surely find something harsh to say about, nevertheless, his PhD from Cambridge is likely enough to withstand your criticism. Myer is a Creationst, and his doctorate is in geology, not biology. Wow! You really are more narrow minded than I realized; no room next to your great intellect for any lowly Cambridge graduate. Please, John, tell us how you came to be such a first hand expert on everything? Undergraduate in geology, Ph.D in philosophy. I respect the Doctorate, but it hardly qualifies him to speak about biology with any actual authority. You seriously can`t see that? He has as much authority as you do. LOL, excuse me. I’m wrong. His Ph.D is in philosophy!! Oh dear, a real expert!!! Ph.D. in the History and Philosophy of Science. University of Cambridge, England, 1991. Thesis: “Of Clues and Causes: A Methodological Interpretation of Origin-of-Life Research.” Analyzed scientific and methodological issues in origin-of-life biology. He has an undergraduate in geology. Kenneth Miller, American cell biologist and molecular biologist who is currently Professor of Biology and Royce Family Professor for Teaching Excellence at Brown University, uses the word intermediate in reference to transitional fossils in the so-called evolution of the whale. I guess he is an idiot too. First, there is no inherent opposition between faith and the scientific discovery that life evolved from lower forms to higher forms over many millions of years. Pope Benedict XVI stated in his address to the Pontifical Academy of Sciences in 2008, “My predecessors Pope Pius XII and Pope John Paul II noted that there is no opposition between faith’s understanding of creation and the evidence of the empirical sciences.” That’s because the Catholic Church does not hold a strictly literal interpretation of the Genesis story of creation, as do some Protestant denominations. According to the Catechism of the Catholic Church (#337), the book of Genesis “symbolically” presents God’s work of creation. In other words, the Biblical story of creation is like a parable in that the plot does not have to be literally true in order for the story to convey profound religious truths, such as the sequential and increasingly complex nature of God’s creative activity. It’s always hilarious to watch creationists attack Darwin and make believe that evolutionary theory and the science haven’t changed at all. It does a great job of showing that willful ignorance is all that keeps creationism in existence. Once again, you’ve helped me find a blogger with his head on his shoulders. I hope you and JZ continue identifying “idiots” by name on your blog. It’s a great way to figure out who I need to follow! The Creationist`s Club is indeed quite an exclusive collection of unique people. Ken Ham welcomes you all. Not everyone who realizes the phantasmagoric foolishness of bears evolving into whales is necessarily a strict creationist. And ocne again, no one (not even Darwin in your erronous quote) says bears evolved into whales. Honestly Scott, lift your game. You`re just looking foolish. Yeah, you’ve said that before John and yet yes, evolutionists do believe that whales evolved from a hyena-like land animal. I dont care how you arrive at that John, it’s evolutionists that look foolish. And you are running out of comebacks. Yep. Lord knows, Evolution and Atheism are as different as East and West. But all “Creationists” are little duplicates of Ken Ham. I mean, they believe EXACTLY the same things! Evolution has positively nothing to do with Atheism. That`s your strawman. One concerns the existence of invisible magical beings for which there is no evidence whatsoever, while the other explains the mechansims by which life proceeds in the observable world. As I`ve already shown Scott, Catholics (2 billion of them, and of which I was one) have no problem whatsoever with accepting Evolution as fact. And I’m afraid to say, there is only one type of Creationism. It all involves magic… and an awful lot of wilful ignorance. Hmm…seems like a lot of magic had to happen for that land animal to become a whale! Not at all. It’s called genetic drift, and it occurs over millions upon million upon millions of years. You’re interrupting my coffee date with my identical twin, Ken Ham. Okay, so tell me, how is your creationism different from Ham’s? Can`t you just lay it out here, in a few sentences. You are a Creationist. Ken Ham is a Creationist. How does your Creationism differ from his Creationism? It really is not as black and white as you want to force it to be. A Creationist is generally a strict, “must-have-happened-in-six-days” believer who can allow no room for interpretation otherwise. While I firmly believe in God, and I firmly believe that “in the beginning God created the heavens and the earth,” I have no problem with an investigation into various ways in which God may have carried out the task of creation. A strict Creationist does not allow for that. And while you denegrate guys like Meyer, you should instead inestigate further and respect the fact that he is in no way a Creationist. He does not advocate for Creationism. Creationists don’t allow for an old earth as Meyer does. He merely believes that we can see in living things the marks of a Designer. While he may believe that that Designer is the Christian God, anyone is free to disagree with his conclusions. But to disrespect his search for facts is not a proper scientific response. You, John Zande, expect others to accept or at least entertain your conclusions and yet you do not afford the same privelege to others who have at least as much right to do so and as much expertise as yourself. Exactly. There is no difference. Thanks for confirming that. This why why I can’t respect you John and why I am done with our pointless conversations, and why I will approve no further comments from you in the future. It’s not that I mind a real discussion, a debate, or even disagreement. But you have no intention of allowing any thought to exist other than your own, but worst than that, you are willing to compromise principle for the sake of argument. Ah, here is Amanda again who is all happy that she has found someone who agrees with her. This is no surprise since they make the same false claims as she does, and have the same lack any evidence for those claims. Still waiting for you to support your claims, Amanda. Hmmm, still no evidence that any “borrowing” is going on. Hmmm, still no evidence that the gift cards are “freebies” and nothing to show that my post is about only one bible verse. It is about at least a handful, those about the miracles of the loaves and fishes, and several in Mark 16 where JC promises that *any* baptized believer will be able to do miracles, specifically healing other humans. Despite the presence of plenty of people needing healing near the Reason Rally site at Walter Reed AMC, Christians like MMM and Ray Comfort refuse to do something that would help people. They insist on spending $25,000 for sandwiches to convince people to take a book that has no evidence to support its claims. Quite a claim since, as has been stated, this happens in every school in the world. A great example of a Christian who fantasizes about hell and people being punished for disagreeing with MMM. Evidence for this hell is yet to be given. Poor MMM. I’ve asked her to show this to be the case and as of yet, no evidence of such a thing. She’s been shown that skeptics do indeed give evidence and defend themselves and she chooses to repeat the lie and still has not given any evidence to support her claim. MMM, you are still welcome to show where I have said “that is not evidence.” Your strawman atheist still has yet to come to life for you. This is a wonderful excuse on why a TrueChristian can’t display her promised magical powers. It’s everyone else’s fault that she can’t do anything. But when it was pointed out that we surely can find one Christian at Walter Reed AMC, she ignores that point. There is no caveat offered by JC or anyone in the bible that the person being healed must believe as MMM does. MMM has made this claim and cannot show where this sentiment was expressed by myself. How unsurprising. Of course, no evidence for these claims either. MMM has done a great job of acknowledging that Ray Comfort is trying to “win” over others, rather than just giving out a “freebie”. Again, no evidence for this attempt at an analogy. MMM has been asked to show that her god exists and that her religion is true so she can support the claim that it is “stupid” not to believe. Still waiting for that evidence. Again, nothing to support that I have said anything like this attempt to create an atheist strawman. Still hasn’t shown where this was said by MMM or where this happened by the supposed “student”. This was on MMM’s own blog and was shown to be wrong by the fact that other people do discuss this. MMM needs to show why anyone should consider her personal ignorance evidence. A repetition of a false claim from earlier. Still no evidence and more lovely bearing of false witness against another. This is offered as a claim that I did not answer her questions. Those questions were answered and she has of course tried to call me a liar with no evidence presented at all. A common assumption that her bible is the sole font of morality. Alas, MMM is ignorant about other religions and doesn’t realize her bible borrows from others. She has yet to show that her religion is the sole font of morality or that her god exists. Still waiting for why we should do such a thing per MMM. Still no evidence for this claim. MMM claimed she had highlighted a screen capture to support this claim but when offered to have it put up on this blog, she refused to give it since she would be asked to support her claims by showing why what she supposedly highlighted was “evidence” of what she claimed. Another lovely loaded question which was answered by ignoring the false dichotomy offered. A quick reading of my blog can set this doubt to rest. But as always still waiting for evidence to support this attempt to cast aspersions. No evidence for this false claim either. Which is shown to be false when she then changes her answer to “I believe you when you say that’s how you would describe red to a blind person. I’m just saying it wouldn’t be very helpful.” After her claims were shown to be false and she was given the definition of “describe”. An attempt to try to claim that MMM didn’t ask the original question but “really” intended to ask the second, different question, in an attempt to invalidate the answer she received. “Is lying a bad thing? Would you say they’re wrong? Questions asked by MMM herself that she refuses to answer. ““Christians claim that their bible is the word of God, so, unless you want to claim it is not, aka, that thing you are trying to live up to what is written in there, it is the same question: “does morality come from the bible?” “does morality come from your god?” If you want to say there is a difference, please do so. It makes a fine problem for Christians no matter what you say. Offered evidently to “side-track” the discussion since MMM has refused to answer any of my questions but feels she still must ask more of her own. And where MMM decried any attempt to get off track from the questions about Ray Comfort. She has no problem in trying to distract from her own failures by doing exactly what she attacks me for. Now, on the topic of Ray Comfort, I’ve yet to see who he has donated the supposed $25,0000 to. It’s been almost a month since the Reason Rally. One would think that ol’ Ray would want the world to know that he made good on his promise. Wow! mrsmcmommy, you seem to have gotten under club’s skin. He seems unhappy with you. We only have a short time before all of us cease existing and everyone forgets we were even here. Don’t make us spend our miserable lives reading your books… That’s just cruel. Let us go have chemical reactions called love and then die. I’m sorry if people will forget you are or were here. I don’t worry about that, Amanda. I’m also sorry if your life is miserable. Mine is not, and I have plenty of time to read and to investigate the world. I don’t have to try to spread false claims like you have repeatedly tried to do. And yes, Amanda, love is a chemical reaction. That doesn’t make it any less enjoyable or real. Indeed, it makes it more real since it isn’t dependent on the baseless claims of one religion that can’t show that it is any more true than any other religion. Incidentally, Amanda, have you and SOM discussed which of you are the apostate and is going to the sadistic fantasy of hell? Why, yes. He’s at this coffee meeting with Ken Ham. Obviously, Christians HAVE to agree on all the details. (That’s what I’ve been saying to JZ.) We think exactly alike, or we’re not allowed to believe in God. So we will be conducting a shoot out, as soon as Silence finishes his carmel latte. sure, Amanda, sure. Yep, Christians should be agreeing on the details, since they claim that the details will be why someone is damned to their sadistic fantasy of hell (or separation from God or whatever else they invent as “hell”) and why someone else gets magic heaven presents, yet one more concept that Christians can’t agree on. .
It’s quite amusing when Christians happily attack each other but when a non-Christian points out their hypocrisy, they circle the wagons as fast as they can. Alas, reality is a check on this nonsense when I personally remember the anti-Catholic nonsense when I was growing up and can do a Google search and see TrueChristians (protestants in this case)insisting that Catholics are damned and can see Catholics make the same claims. The Catholics at least officially claim that other sects and other religions may have part of the “true” story, but even they are sure that only they are the TrueChristians. Now, since other Christians show that your claims aren’t true, who are we to believe? Thankfully atheists don’t circle the wagons like that! What ever would we do? hmmm, pub, you seem to be trying real hard to make an accusation. Now do support it with evidence. Or is this one more instance of a Christian ignoring his supposed god and bearing false witness and showing that they don’t care about their religion any more than I do? You’ve ranted enough Club. Not interested in wasting any more of my time with Jerry Springer-style back and forth. It’s fine to disagree. It’s fine to have real debate. That’s not what this has been. I certainly don’t feel the need to convince you of anything, whoever you are. I didn’t read after that. Whatever other Christians “claim,” that’s what I believe! If someone says you have to stand on your head and sing Old MacDonald to get into Heaven, then I agree!!!!!! Yes, Publisher. How dare you not know that Club Schadenfreud is a FEMININE handle. …I actually define Creationism a little more loosely than you, it seems. I would call most Theists “Creationists” since most Theists recognize a Creator. But I totally agree that the “when” and “how” of creation is open to investigation. If you REALLY want to tweek JZ, just point out that even ATHEISTS are starting to get bored with the “Nature by Itself” explanation. People like Elon Musk believe the sophistication of our universe must point toward intelligence, so they believe a post-human species must have stimulated itself. (Think Matrix.) So, even among other God -deniers, JZs brand is becoming more and more irrelevant. Thanks mmm. A comparison to Ham, however, requires (at least for me) a clarification. Thanks for tip on Zande. He does not give a fair consideration to others arguments. I am not interested in that.